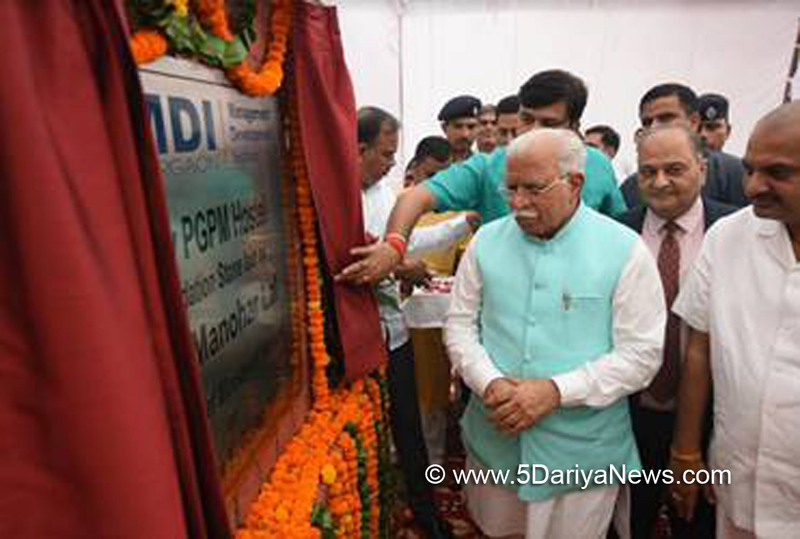 The Haryana State Industrial and Infrastructure Development Corporation Limited (HSIIDC) will not demand increased charges from allottees for plots in the future, Chief Minister Manohar Lal Khattar said on Monday.In case of any such increase, it will be borne by the state government for which a fund will be created, Khattar said while presiding over a meeting with industrialists at the HSIIDC office here. Representatives of various industrial associations of Gurugram and Manesar participated in the meeting, wherein he heard their demands and complaints and assured them of sympathetic consideration.On a complaint regarding online payment under the e-governance initiative of the Haryana government, Khattar directed officials to ensure effective functioning of the system. He asked them to set up a separate website wherein one could lodge complaints regarding a non-functional online payment system.As for complaints regarding external development charges, the Chief Minister directed the officials to resolve such long-pending issues through mediation and set up a panel for this purpose.With regard to the Estate Management Procedures policy, the Chief Minister said that as per the provisions of the amended policy, there will be no need for a No-Objection Certificate from the HSIIDC on mortgage of property.